Measurements and indices of production and storage for refined metals including steel, aluminum, copper, zinc, and other commodities. Custom monitoring and analysis over one or multiple locations using the world’s leading satellite, aerial, and drone platforms. Accurate data extraction and analytics development through our highly extensible human/machine workflow. MetalSignals aggregates the production and storage data for each location to generate machine-learning based signals that are predictive of exchange metal price and inventory direction 1, 2, and 3 months out, as well as price direction for hundreds of metals-related equites, indices, currencies/FX, and interest rates. Vale expects to resume Brucutu mine operations within 72 hours reports Reuters. Brucutu relies on the nearby Laranjeiras tailings dam to dispose of waste. Exciting to @Geospatial host such an amazing meeting of #thoughtleadership to discuss the future of geospatial data! 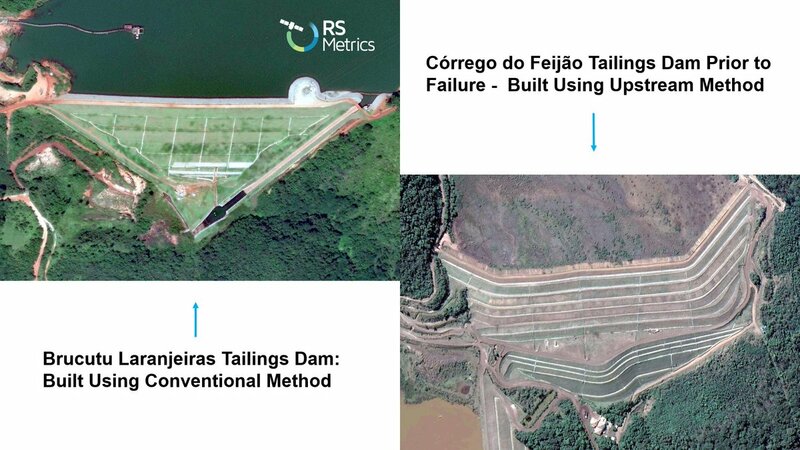 RS Metrics has been using #satelliteimagery and #ai with our CEDM (Custom Event-Driven Monitoring) capabilities to do our part in solving global issues. Contact RS Metrics today to learn more about MetalSignals and our custom satellite data and analytics intelligence capabilities.